Thank you for taking the 90 Day Challenge! We know that God is going to do incredible things over the next three months as you step out in obedience. To encourage you through this journey, we’ve created devotionals (designed for every other day) to inspire you as you remain steadfast in your pledge. The Bible declares that God alone is the Author and Creator of all things. Whatever God makes, He owns. We are not owners. We are managers of all that God has given us. Our stuff is not our stuff – it’s God’s stuff! Thus, He expects us to manage His possessions in a way that brings Him the honor and glory He deserves. 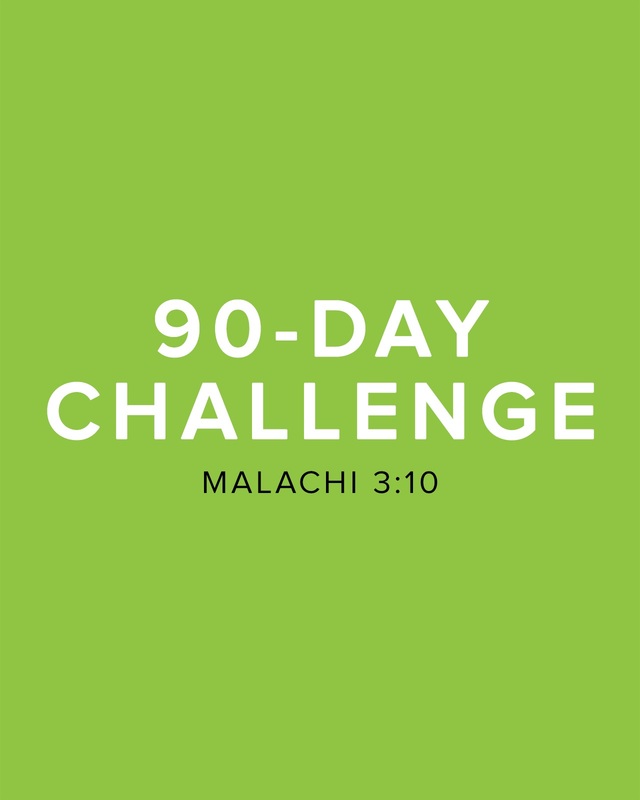 The 90- Day Challenge will help crystalize the truth of stewardship as you develop the habit of bringing back to God what is already His. Thank God for His blessings in your life and ask Him to give you the wisdom and discernment needed to be a good and faithful manager of the stuff He has entrusted to you. Walk through your home and take a visual survey of all your possessions. As you do, remind yourself that everything you have belongs to God and your responsibility is to be a wise manager of all that you have. Here is the all-important question: Do you want to live a life in marked contrast to those around you? If you do, then that life is found in the zone, God’s sweet spot of success. It’s living a life that’s not reliant upon what you think you know, but rather trusting God and His word. As you continue in the 90-Day Challenge, know that you are obeying God’s word and thus “in the zone”. Thank God for the ability to live in obedience to His word through Christ Jesus. Within the 90-Day Challenge, we are learning a very important principle – tithing is bringing back to God what is already his. Thus, bringing the full amount (gross not net), shows God that we trust Him to provide for every aspect of our life. God commands us to bring the first 10% of our income back to the local church in order to provide for the ministries that bring life-change. And when we all bring the tithe, there will be plenty of food or financial resources to provide for the church. Ask God to multiply your tithe many times over. And thank Him for the ways in which He will pour out His favor upon your life. If you are not already serving at Fellowship Church now is the time! In this way, you will be providing financially and physically for the ministries of Fellowship Church. Money is a powerful thing largely because it represents who we are. We spend a great deal of our time and energy trying to earn it and spend it. Money becomes so much a part of us that it can dominate and control us. Without even realizing it we become its worshipper and it becomes our god. Money becomes the master we serve! Keep in mind that money always over-promises and under-delivers. It promises us those things that only our Heavenly Father can give – importance, security, confidence, and freedom. When money becomes the boss, we almost always find ourselves empty and wanting more. You cannot serve both God and money. Tell God that He and He alone is your master and you will look to Him for everything in your life. During the 90 Day Challenge let the act of bringing the tithe to Fellowship Church be a strong reminder that you serve God and not money. Everyone who was in distress, debt and discontent - sounds like a lot of people we all know. Maybe even you. More often than not, that distress and discontent are conditions that really come from debt. And, debt that cannot be paid will keep you in distress. If everything you earn is going pay down debt, you will be discontented. Moral of this story – stay out of debt! The average American family spends more money than it earns; we are buying things with money we don’t have. And since you have begun the 90 Day Challenge, there is no doubt you have started taking a serious look at where your money goes. If you have discovered that you are spending more than you are earning, now is the time to make some serious course corrections. Ask God to give to open your eyes to any debt problems you may have and then earnestly ask Him for the wisdom to make the necessary corrections in your finances.